Home / Editor's Choice, Entertainment News, Featured Articles, Photos / No time for SPONSORS, Meet this University LADY who sponsors her education by working as a painter (PHOTOs). 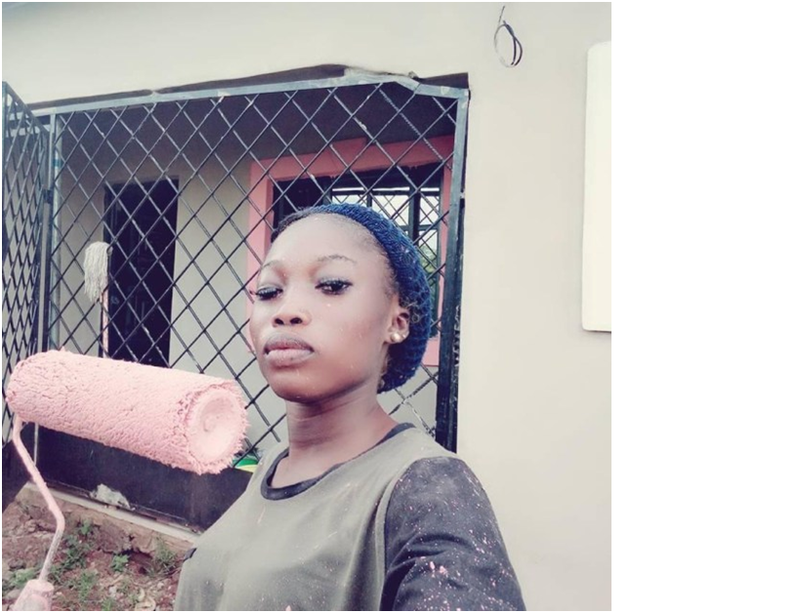 No time for SPONSORS, Meet this University LADY who sponsors her education by working as a painter (PHOTOs). 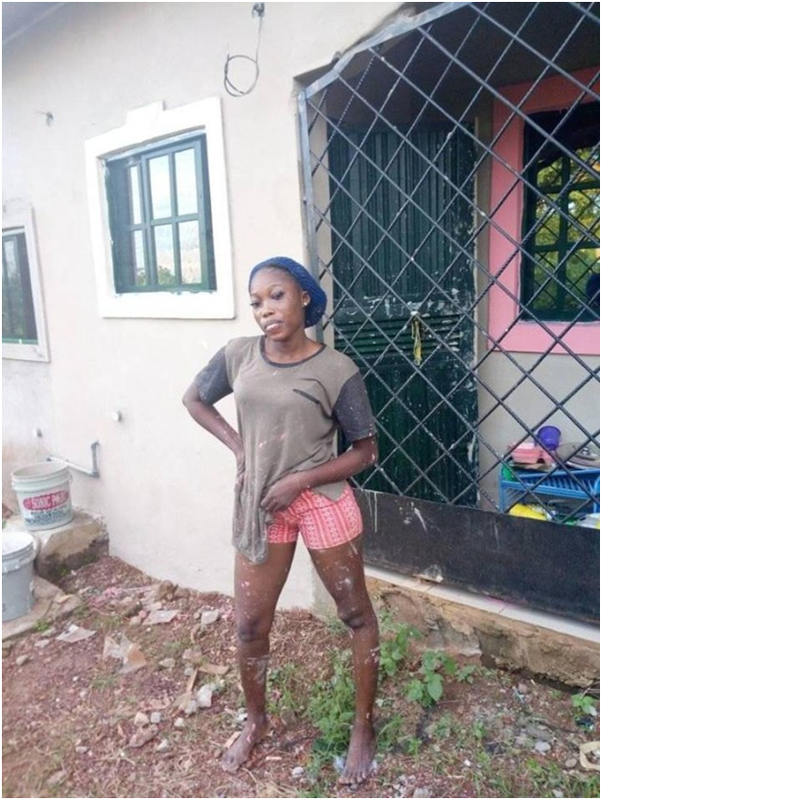 Wednesday, September 12, 2018-Young University ladies like the late Sharon Otieno have been sleeping with sponsors to get money that help them facilitate their education and flashy lives. But for this young University lady, she has no time for sponsors. 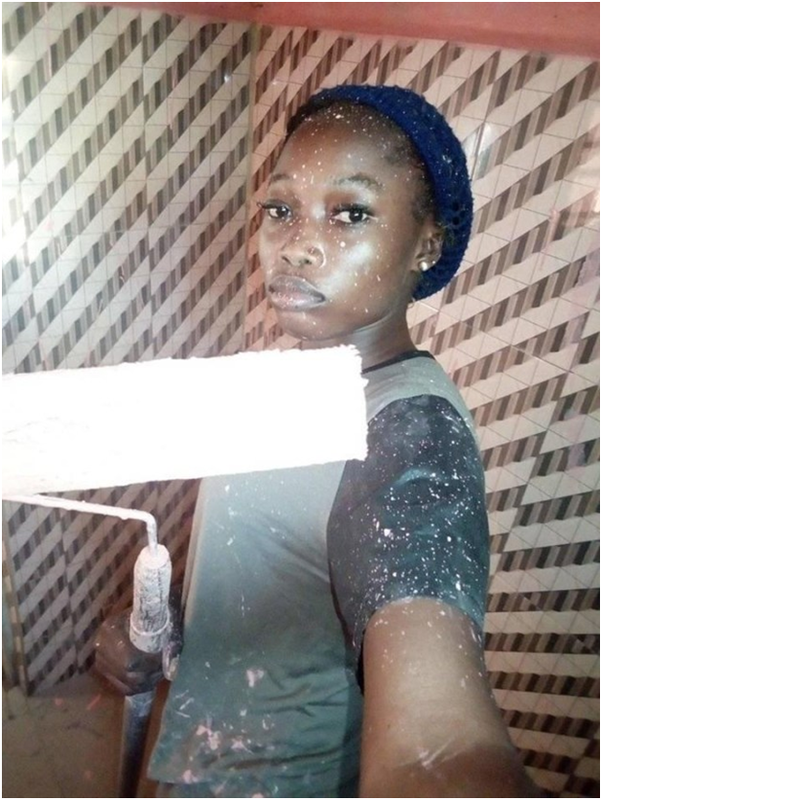 She has been working as a painter to sponsor her education. Young University ladies should emulate her and stop sleeping with sponsors. She shared photos busy at work and wrote,” U can stil style when working. Proudly a bae of her self.